Technology is constantly evolving, becoming more and more "intelligent" to anticipate our needs. 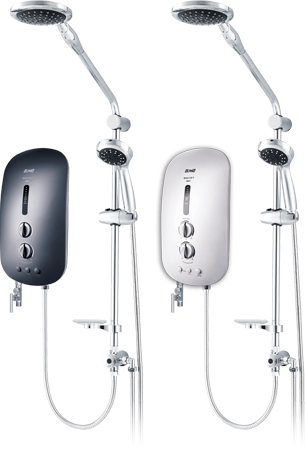 Presenting the next generation of shower heater with a built-in intelligent feature...the Alpha SMART series. SMART is the first ever Instant Shower Heater with an on board microchip that incorporates an advance program to monitor the safety status and performance level even before the system is activated, as well as during usage. The interlligent Auto Test safety feature provides all-round protection and peace-of mind every time you step into the shower. Consumes very little electrical power, saving 50%* of Silent operation, thanks to a brushless operation. 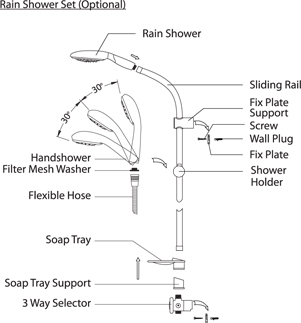 From a simple hand shower to luxurious overhead shower, Alpha has everything you could wish for in a shower. Rediscover a new source of relaxation with warm & invigorating massage shower experience... from Alpha RainShower.